Rudolph (Rudy) Janzen was born in Mariawohl, Molotschna, South Russia, August 20, 1925, to Heinrich H. Janzen and Katharina Andres; sometime later his family immigrated to Canada. On September 11, 1948 he was married to Erica Hildegard Mathies in New Hamburg, Ontario. They had a son, David Ronald, and a daughter, Kathie Lynn, and five grandchildren. Rudy studied at various schools, including Union College, Northwest Baptist Theological College, Anglican Theological College, Regent College, all in Vancouver, BC, and at Huron College, London, ON. Rudy Janzen became a Bible teacher and pastor in the MB community. He taught at Herbert Bible School, SK, Vancouver Bible Institute and Mennonite Educational Institute (M.E.I.) in Abbotsford, BC. Rudy was a long-time pastor, serving across western and central Canada. He was pastor at Herbert MB Church, SK, 1953-1957; Greendale MB Church, BC 1959-1963; interim at Ross Road Community Church, BC, 1963-1964; Kennedy Heights MB Church, Delta, BC 1967-1970; Komoka Community Church, ON, 1974-1977, where he was considered the founding leader. In 1982 Rudy served as a congregational leader at Zion MB Church, Kitchener, ON. This collection of material was donated to the CMBS by the Mennonite Archives of Ontario at Conrad Grebel University College, Waterloo. This fonds consists of sermon, Bible course materials and a selection of topical files used to inform his sermons and teaching. Described by Yvonne Snider-Nighswander, June 6, 2012. 40 cm of textual material. The Files Left Intact are selected, intact files which include articles and periodicals which were resources for Janzen, and provide examples of his methodology. Some resources appear to have been used as sermon notes, indicated by highlighted sections with preaching dates and church names listed. Interspersed are hand-written and typed notes. Vol. 1359. File nos. : 1–15. 24 cm of textual material. 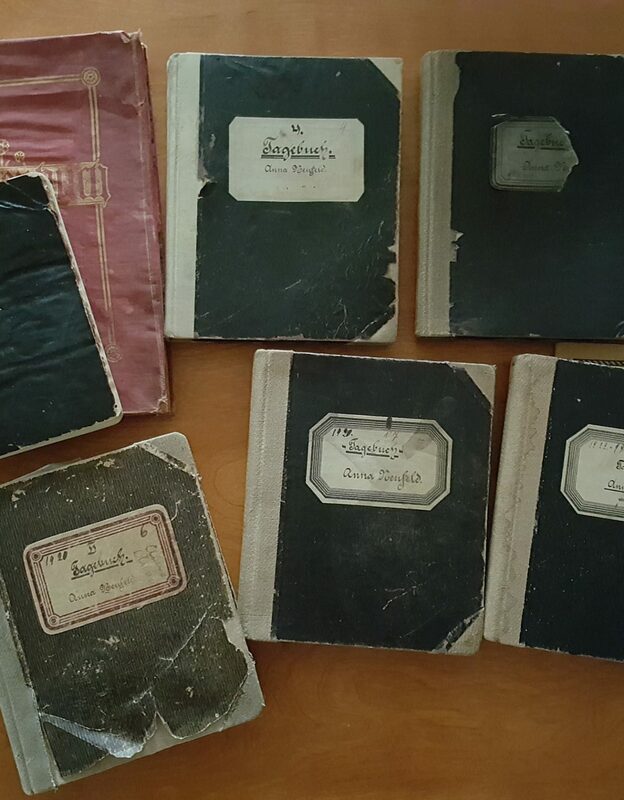 The Files of Rudy Janzen’s Sermon Notes contain only documents that he used for preaching. Vol. 1360. File nos. : 1–28. 1.Acts – Overwhelmed by God’s Glory Transformed. – 1954-2001. 4.Acts – Praise in Acts; Prayer. – 1956-2000. 6.Acts Apg. I a – 1953-1999. 7.Acts Apg. I b – 1954-1999. 8.Acts Apg. I c – 1962-2001. 9.Acts Apg. II a – 1960-2000. 10.Acts Apg. II b – 1960-2000. 12.Prophesy. I a – 1968-2004. 13.Prophesy. I b – 1968-2004. 6.Courses. Old Testament Prophets: Readings, Notes, Essay: Hosea’s marriage. – 1969. Counseling; Christian Education; Pastoral Theology. - 1969. 13.James –Radio Notes. – 1962-1967. 14.John, Gospel of. – 1954-1998. 16.Marriage, Family Life. – 1954-1981. 23.Thessalonians I, II. – 1952-1980. 24.Various Old Testament Sermons. – 1953-1998. 25.Various Topics: Advent, Christmas, New Years. – 1952-1981. 26.Various Topics: Faith; Forgiveness; God’s Will; Priesthood; Stewardship; Ascension; Fire, Waters. – 1956-1995. 27.Various Topics: Includes Developing Disciples; Peace Sunday, Honesty, Hope, many others. – 1950-1989. 28.Various Topics: Includes Assurance; Fear, Forgiveness, Joy, many others. – 1953-[2000? ].